Playfully named 'Garlic prawn' by chef Gareth Ward, this striking dish is actually comprised of the best Scottish langoustines around. 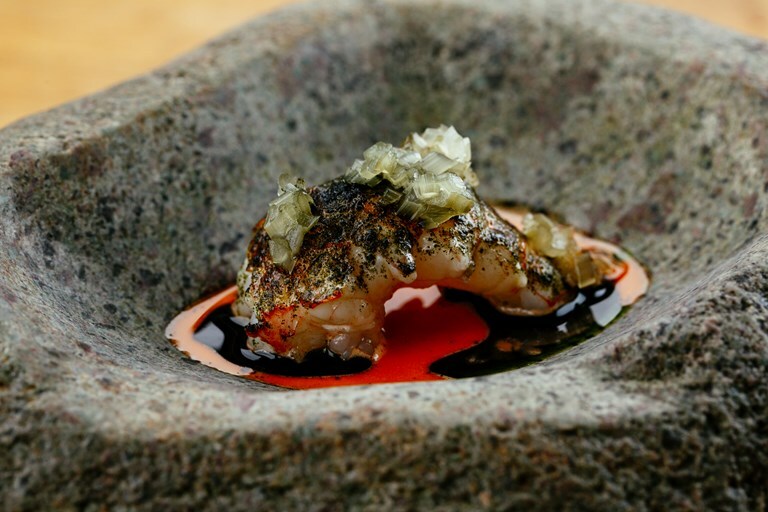 The shells, heads and bodies are all utilised to create some stunning flavours, including 'prawn claw oil', 'prawn head and soy dressing' and, of course, the tails themselves, which are simply grilled on the barbecue before dusting in nori powder. The 'garlic' element comes from wild garlic, so save this recipe for spring when abundant.